Have you ever wondered why you are doing something? Too often we humans do things without having a reason for why we are doing them. Sometimes it’s because we are on autopilot, while other times it’s because we are asked to do something without being given a reason why. Do you remember those days in secondary school when you didn’t understand the purpose of learning a particular skill or piece of information? This issue of doing and learning without knowing why has followed us since childhood. In grade school, I remember thinking that some of my teachers were crazy. I didn’t understand why we were learning the names of all the states in the U.S. but not the names of all the countries in the world, and why we weren’t learning how to properly put on a condom in health class. I got the impression that some of my teachers had good reasons for their lesson plans, while others whimsically decided the nature of their lessons that morning. In all classes, for all ages, educators should not only know what they are teaching, but also have a reason for why they are teaching it. This is called rationale! In teaching such sensitive material, sexual health educators need to have rationale for why they are teaching what they are teaching. If they do not have rationale, they will not be able to answer students’, parents’, and administrators’ questions about their curriculum and lesson plans. Without well thought out rationale, sexual health educators will likely not have an impact on their students and not be able to stand up to those who disagree with their curriculum. An educator needs rationale for everything. Refer to the picture below before reading on. 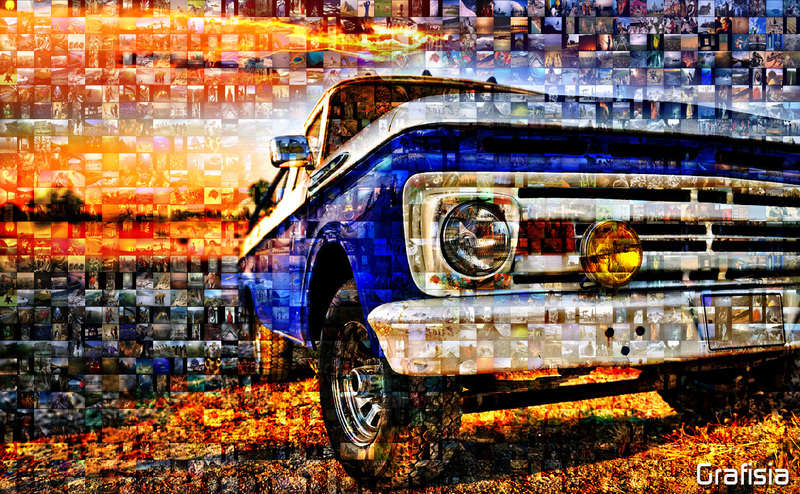 If all the tiny pictures in the larger mosaic above were placed randomly throughout, they would not create a unified picture of a car. Instead of being random, there is a reason for the location of each tiny picture. Pretend the picture of the car is the year’s curriculum, and each tiny picture is a lesson plan. Just like how you need rationale for the curriculum, an educator also needs rationale for each, and all parts, of the lesson plans. Within a lesson plan, educators need to know the rational behind their goals, objectives, activities, and assessment methods. Most importantly, educators also need to have rationale for why those goals, objectives, activities, and assessment methods are appropriate and applicable to their students at that particular time. An educator may have an amazing lesson plan, but it is useless if it is not developmentally and culturally appropriate for their students. In order to determine the developmental level of students, an educator needs to refer to the work of developmental theorists in order to understand the most effective teaching methods appropriate for their students. Educators should refer to Erikson, Piaget, Freud, Vygotsky, and Levinson (among others) and adapt the theories to take into account students’ actual developmental level, rather than the level their age suggests. There are a number of reasons students’ actual level might be different, such as trauma, emotional or physical abuse, poverty, exposure to environmental toxins, and parents who suffer from substance abuse (Herr, 2012). Each student is different. A lot of differences come from students’ cultural history. It is important to recognize the different cultures within an educator’s classroom in order to effectively teach each student. In education, particularly sexuality education, it is important to pay attention to cultural beliefs, language, religion, and social habits. An educator should look at their students’ beliefs by using an adapted version of Geert-Hofstede’s five cultural dimensions. These five cultural dimensions are equality/hierarchy, direct/indirect, individual/group, task/relationship, risk/caution (Peterson, 2004). By taking the students’ developmental stage and cultural history into account, an educator can choose the most effective instructional model(s) to use for each lesson plan. Educators can also rationally explain the what, why, when, where, and how of lesson plans and curriculum. Brown, J. (1994). How to write a rationale. National Council of Teachers of English. Herr, J. (2012). Child development principles and theories. Working with young children (7th ed.). Tinley Park, Illinois: Goodheart-Willcox. Kizlik, B. (2014). A rationale for developing learning objectives that meet demanding behavioral criteria. Adprima. Peterson, B. (2004). Cultural intelligence: A guide to working with people from other cultures. Intercultural Press. I think the analogy with the mosaic is a really wonderful way to demonstrate the importance of rationale. You could also use it to differentiate between goals (the big picture) and objectives (the collection of smaller pictures). It seems like having a concrete rationale for a lesson or curriculum would be very important to administrators and parents. By justifying everything in the lesson, everyone will be more confident in your abilities. Great post! The “why” of a lesson plan is just as important if not more important than the content itself. Particularly when the lesson plan is about building a skill-set, the method of learning that particular skill may be arbitrary. At the same time, until the student has the developmental capacity to think long-term, we as educators may not be able to answer “why?” honestly. If an seven-year-old asks why we are learning addition and subtraction, an educator could respond honestly, “This is a skill you will need throughout your life. For example, as an adult this will come in handy when you are balancing a check book.” But this explanation, while it is an honest reason why we teach mathematics, does not land with a child. In these situations, do you think it’s appropriate to lie, or tell a half-truth? Could we answer the above question with “Because we will have a quiz on it” or “Because if you finish all these problems you’ll get a star for the day”? Or should we answer in a caring and vague way that emphasizes growing up, like “Because you’ll need to know this as you get bigger, and I want you to be prepared.” Kids, even very young kids, understand growing up, and that part of growing up is learning new things, even if they cannot grasp “why” yet. In the context of sexuality education in schools, that kind of answer – caring yet vague – may have landed better with me than anything else. If I asked an educator why we need to learn how to put on a condom, I would only half-listen to the statistics on pregnancy and STI transmission, not fully understanding how these applied to me. I also could not understand the social dynamics of negotiating condom use, the potential difficulties, etc., because I just hadn’t had those experiences. However, I would have understood, “you are learning this because it’s what people do when they become sexually active, and I just want you to be prepared” because I could understand getting older, and that part of getting older means eventually becoming sexually active. The “why” in these cases may not have to be fully spelled out, as long as the rationale motivates the students to learn. I agree with Sarah and enjoyed the analogy with the mosaic as it clearly demonstrates that without the rationale we are unable to see the full picture. As sexuality educators the importance of incorporating rationale behind all of the decisions that we make regarding lesson plans and curriculum is essential. There have been countless times when administration and faculty want to see the rationale behind my lesson plans despite adherence to the guidelines of the department of education. Professionally, being able to back up the work that you have implemented will prevent any unwanted consequences within the area that you practice. Thank you for posting as we each can learn the importance of why we need rationale!